While Chicago’s Design Engine has earned a reputation for providing customized 3D training for both industrial designers and engineers, we feel it important to articulate why our teaching style is deemed more effective than more conventional standardized training classes and why our program can be more effective at raising the fluency and skill level of your staff. Key to our program is the ability to customize courses so as to focus on the issues relating to those involved. In this way we can key in on specific examples or parts related to the product line of your firm. We not only encourage input from those involved, but suggest that 3D drawings or even physical examples are brought in to give our instructors a clear and specific idea of what your design or engineering department is working on. Our class structure is meant to be malleable and conform to individuals’ specific needs, and real life examples are not only addressed but encouraged. We don’t “throw the book at you.” Instead week long courses cover more ground than conventional course book-based training by keying in on the area of focus specific to those in attendance. Our instructors have industry experience and can turn on a dime to change the pace or content of the class to match the specific needs of its participants. In addition to the ability to adjust classes to individuals’ needs, we are also able to create classes specific to design challenges a company may be facing. For example, there are many cases where a disconnect occurs between engineers and industrial designers which can lead to unnecessary hurdles in the product development cycle. In addition to our customized courses we are adept at providing a basic week long “fast track” course to those who might be familiar with another software like Dassault Systèmes’ SolidWorks, but would like to learn the basics of solid modeling in PTC Creo; or vice-versa. Even our basic-level introductory courses touch on more advanced topics such as top-down design and surface modeling. We also have specific classes and workshops designed with different types of users in mind. We regularly run a series of sheet metal, wire harness and plastic part design courses which have received a good response and positive reviews. Also of note is our ability to teach 3D to industrial designers in a way specific to their unique perspective; where proving form is a prime directive. For example, our Creo for Industrial Designers course focuses on the specific problems industrial designers may face in their workflow. 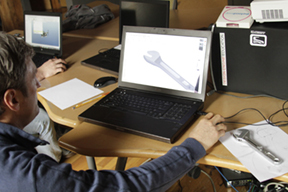 Whether your staff engineers or industrial designers are learning Creo from scratch, require a refresher, or an update on a new version of the software, we can accommodate your team. 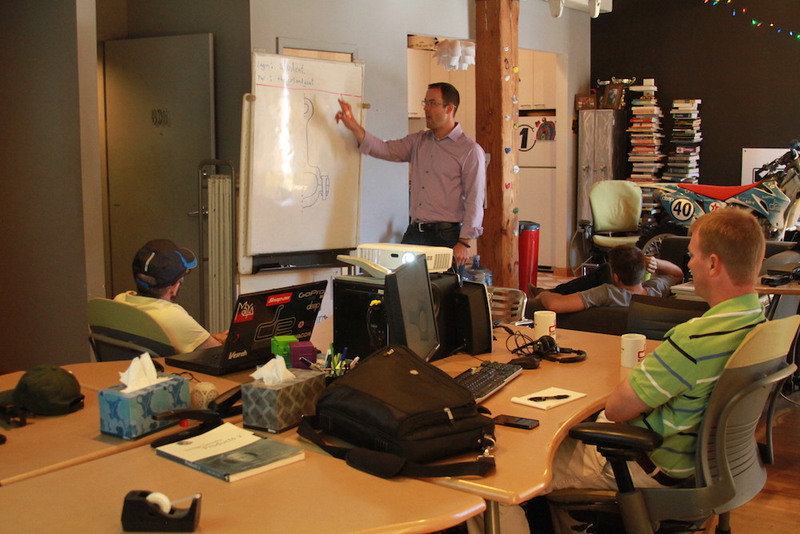 When multiple engineers or designers come to our Chicago training facility, we work around various skill or proficiency levels and can allow different people to work at their own pace. This type of receptiveness to the individual’s ability coupled with a relaxed environment has proved more conducive and effective to learning and imparting knowledge. Class sizes are generally kept small to accommodate more one-on-one attention between the instructor and the individual. We can work with whatever version of the software you request. We realize not every firm, can (or desires) to make every upgrade to the latest version of the software and are receptive to working with whatever version your team members are running. This being said we are also adept at upgrade courses where we can bring your team up to speed on the latest version of the software. This is yet another area where our receptiveness to the participants is our strong suit. With over 20 years of training experience, we have a unique ability to teach these Creo Update classes to get your engineering and design team back up to speed as quickly as possible. One of the most important attributes of Design Engine is our attitude towards training. We are not ashamed to admit we are geeks for this stuff. We are not out to sell you any particular software package, read to you from a book or tell you a specific way in which to design your products. Our goal is to arm you with a toolset that can be applied to your design workflow, and have fun doing it. We hope you might consider our program and we feel we can meet if not exceed your expectations. Article written by David Mazovick, August 1st 2016.